Last month I gathered another pile of beauty products that sit somewhere between being on the cusp of being finished or half used. The intention is simple to add them to my everyday rotation and help them on their way to the 'empties' bag that sits in my airing cupboard. The first product I added to this pile was the No 7 Stay Perfect Superlight Foundation. 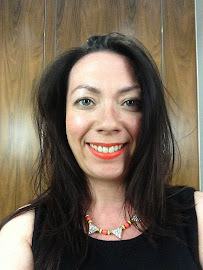 As I look through my blog to see when I first purchased this foundation I note it was 2014 and think perhaps rather than use up I can have a pass to throw it out? Use by dates aside and no obvious worries with formula or smell I was happily working my way through this foundation and remembered why it was one of my foundation favourites at the time, even including it in my travel make up bag due to it's travel friendly plastic packaging. I remember being shade matched in store and using some of those No 7 vouchers it seems I'm given with every other Boots purchase. The coverage is light-medium and wears well throughout the day. It claims to be non-pore blocking, which as someone who can be lax with evening skincare can vouch for as I don't suffer any breakouts when wearing this foundation. As it claims it's a lightweight foundation that sits nicely on the skin giving a luminous finish whilst evening out the complexion. At the end of last year I was able to try some products from The Body Shop Oils of Life collection and the least favourite of those I tried was the Oils of Life Intensely Revitalising Bi-Phase Essence Lotion* or quite simply, to me at least, a toner. That criticism aside and it's perhaps excessive £15 price point I do rather like this product. I am currently using in the mornings as refresher and imagine I'll work through this quite swiftly although it's a sizable bottle. Once again I'm reminded how old a product is with the Jelly Belly Lip Balm*. Perhaps this shouldn't be Products I'm trying to use up but Products I need to throw away! Nonetheless I'm determined and what you can see in the picture is all that is left and there is nothing like the sense of achievement at using a product to it's very end. I wrote a full review of these balms way back when. Where I have lip balms hidden all over my flat and desk at work this offering does what it should with a fun twist. Spoiler alert I can confirm I have successfully used up Nip+Fab Viper Venom Micro Blur Fix* even before I had an opportunity to post about it. To be honest I was cheating a little to include it as it hadn't moved from my dressing table since my initial review of the Viper Venom range so it was inevitable that I would use it up quickly. As I said in that initial review this is a pleasant primer to use, and whilst it did work to 'blur and mattify' the skin I didn't find it as obvious as Benefit Porefessional for example although this offering is more expensive than Nip+Fab Viper Venom Micro Blur Fix and if you're not a fan of the silicone this where you should be looking. You will have seen Essence's I Love Extreme Mascara in my monthly favourites so it's safe to say I'm being diligent in using this product and enjoying it. I can already feel it's drying out a little so it'll be time to move onto something new soon, I'm thinking a waterproof version for my holiday so please leave your recommendations. And finally another product on the list is Xen-Tan Dark Intense Weekly Tan. This was a blogger inspired purchase and was what Bondi Sands is today. That said I was actually introduced to it by a friend who popped it on me before we headed out for a night on the town and I still to this day look at the photos from that night and admire how bronzed I'm looking. Other tans have come and gone and I find I work much easier with mousse but practice makes perfect. With the weather being what it is lately (cold!) a rare occasion to get my legs out whilst also enjoying the luxury of still wearing tights means popping this on in hurry works well for me. 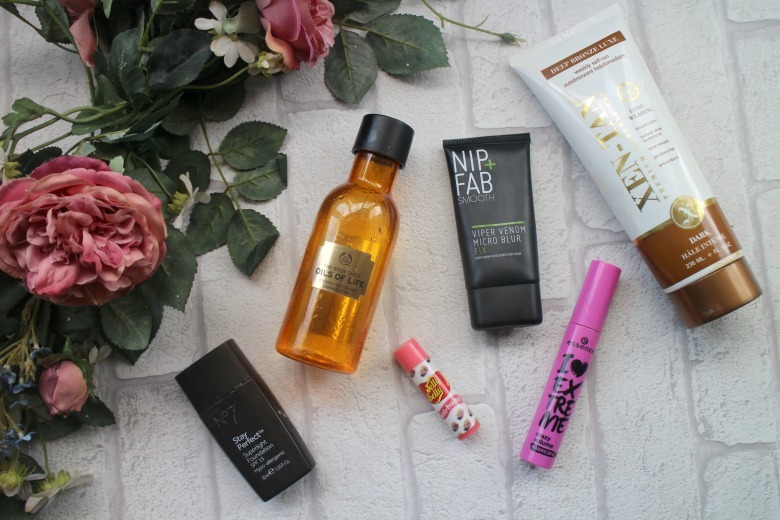 Keep an eye out for these products appearing in an empties post soon and feel free to give me a telling off if I happen to buy replacements before that happens! You can read my previous post on products I'm trying to use up here and let me know what you're trying to finish. I've been doing the same over the past couple of months! I'm moving house soon and really don't want to take masses of half-used beauty products with me. Having said that I'm finding it really hard to keep to a routine of using just one thing haha. I want to give the Nip + Fab primer a blur. I've been loving their products at the moment and I haven't tried that one. It's definitely a project worth doing - it gives an excuse to find new ones when they're finished too! I have been looking at the Nip + Fab Primer, it sounds perfect. I didn't like the Benefit one on my oily skin so I might try this one instead. It really is - I can't believe how long some products last despite regular use! I'm really bad with finishing makeup products (unless I love them, of course). I need to get better at it! I have to say aside from mascara it's rarely make up I'm able to use up completely - products just seem to go on forever!